The Big No No Show: Firewatch - Do you wanna know why we keep starting fires? 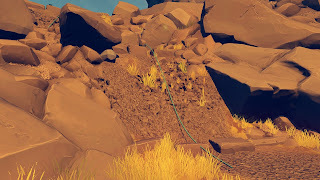 Firewatch - Do you wanna know why we keep starting fires? More like "hiking simulator", amirite? For all of its troublesome origins, the term "walking simulator" remains a very useful shorthand for a genre that has become very popular in recent years: exploration games that are based more on narrative and immersion than on any standard gameplay mechanic such as combat, stealth or puzzle-solving. It's a great idea on paper, and it sounds easy - until you remember how hard it is to get anyone immersed in a world with which the only modes of interaction are looking around and reading conveniently-placed notes. 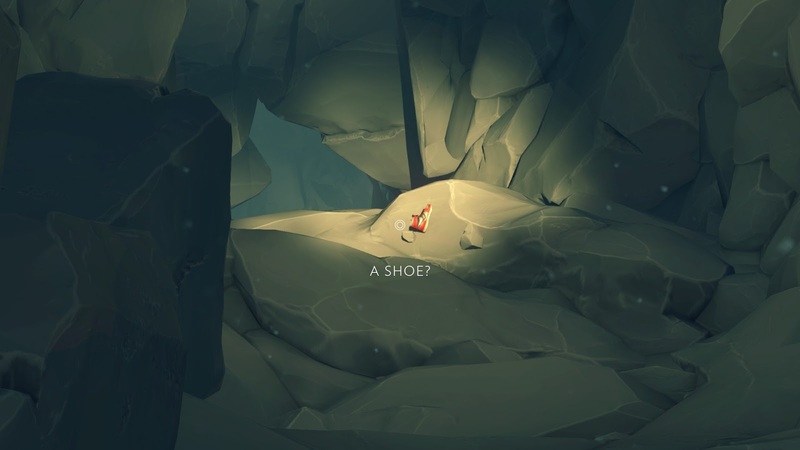 Questioning established gaming tropes without coming up with any of their own answers, most games in the genre have felt anywhere from uninspired to downright lazy, with at least a dozen Gone Homes to every Stanley Parable. 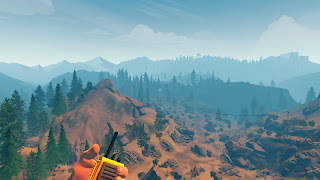 It is with no hyperbole, then, that I say that Firewatch is by far the best walking simulator I've played to date. 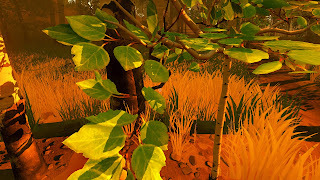 While far from perfect, it shows a rare understanding of how to build a setting and get players invested in a story, to the point where I already know that I will play through it again - something that I've never done with any other walking simulator. 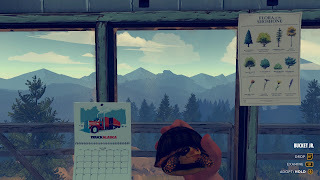 Firewatch's replay value is due mostly to it being so enjoyable, but there are a few choices to be made which not only have certain (admittedly minor) effects on unfolding events, but also serve to draw you into the story. The game starts by telling you that you are Henry, a man in his 20s who is getting very drunk with friends - say no more! I immediately identify with this guy. But at some point, Henry notices a fetching lady and decides to hit on her. The lady turns out to be a professor, and Henry must have way more game than me, because while I never had much success hitting on my professors stumbling drunk, Henry and Julia end up getting together and eventually getting married. Their happiness is not long-lived, though, as you eventually discover that Julia is suffering from dementia. The decisions you make during the aforementioned sequence, especially those that take place as Julia slips further and further into dementia, will tell you what sort of person your iteration of Henry is. This entire intro is composed of text intercut with scenes of Henry making his way to the forest where the bulk of the game takes place, and while this is in all likelihood a budget move, it is surprisingly effective and does a good job of separating the part of Henry's life taking place before the game and the part you will be most active in. No option to make a Metal Gear Solid reference, then? Sadly, this is where the problems start. As a game based mostly on immersion, Firewatch cannot afford to be as shallow as it is in the decisions it has you take. For example, after a particularly exhausting day of taking care of Julia - already very ill - Henry wants to steal away a few hours at a bar while Julia is asleep. That you will go out is a foregone conclusion - you can only decide whether or not you will block the bedroom door so that Julia can't get out. If you think your character wouldn't leave his mentally-ill wife alone at home, or if you think he could get just as some much relaxation from staying in with a bottle of Jack and playing some Rocket League, sorry - the game has already decided to disregard your opinion on the matter. Firewatch is littered with such immersion-breaking moments, and they're not limited to the decisions you make alone. Most of the game has you walk around a reserve, taking care of fires and other disturbances. It's absolutely gorgeous, and walking around the forest, taking in the view, discovering animals and admiring the foliage - when it's not clearly just made of flat, pixelated textures - feels great. It's a world so easy to get lost in - that is, until you want to maybe get closer to where another character is supposed to be and hit an invisible wall, or when you talk to a couple of characters far away who are clearly just blacked-out stick figures, or when you look at a tree and notice one of the aforementioned flat leaves. And then immersion breaks, completely and irreversibly. Don't get me wrong - I'm not big on immersion in video games. It tends to encourage treating playing them as an escapist activity, and I find escapism troubling in any media. But in Firewatch, immersion is pretty much all you have - otherwise, your computer game story is just a cartoon with questionable production values. I realize that one can only spend so much money on a game's visuals, but it seems to me that making the world less pretty overall but more cohesive would have been a better use of resources. 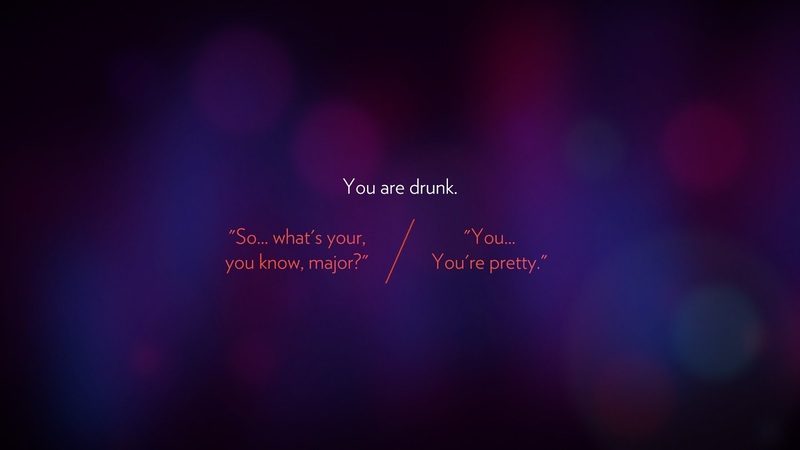 And still, Firewatch draws you in. It is so beautiful, so well-written and well-paced, so charming, that all these issues are easy to swallow. For every bad texture or plot convenience you find, there's at least one moment where you adopt a turtle, find a raccoon, or listen to a really great exchange between Henry and Delilah, the other main character in the story, that just puts a big smile on your face. The running time isn't long, even with optional content factored in, but the wealth of dialogue options and secrets make Firewatch a deceptively deep experience. Most importantly, Firewatch shows how walking simulators should be done, sort of like how the original Batman showed how Batman movies should be done. Let's hope the next one is a Batman Begins rather than a Batman Returns. to climb down this barely two meter, easily scalable wall. Verdict: Firewatch's significance far exceeds its score. In a genre plagued by pretentiousness and laziness, it is a genuine and successful effort at being artistic, emotional and entertaining. We fully expect it to become an inspiration to some truly great games in the future.